There is no direct equivalent to the notaire in the UK. He or she is a legally qualifies person and a government representative. They are held in high regard in French society, rather like a doctor or barrister, and have a great influence in local matters, especially those related to property. When you buy a property in France, you have to pay notaire's fees on top of the estate agency fees. The estate agency fees are usually included in the purchase price seen in their office windows, but the notaire's fees are not. These fees are similar to legal fees in the UK - solicitor's fees and stamp duty. The first time in your property buying timetable that you will meet the notaire is when you put in an offer that has been accepted. If you are buying in a village or small town, there will only be one notaire, who will oversee all property events in the location, whereas if you are buying in a large town or city, there will be a number of notaire's. In this case, the notaire that you will use will be dependant on your estate agent. As the notaire makes money from estate agents, they tend to build up a rapport with each other in the same way that a UK solicitor may recommend an accountant. 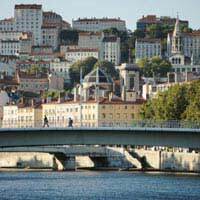 This has the added benefit that the estate agent is likely to have a good relationship with the notaire and their staff, so you can be assured of a friendly welcome. Once your property offer has been accepted, it will be confirmed to the notaire by your estate agent, who will then deal with the paperwork and official documentation. You will have an appointment to go to the notaire's to sign the offer, called the compromise, and you will be told what is now expected of you. This will include obtaining a mortgage within a certain space of time and to have some checks done on the property by their teams, such as looking for termites and lead, common on older French property. Following this meeting, you will invariably return to the UK to arrange your mortgage and get everything in order. During this period, which will usually be a maximum of three months, you may not hear from your notaire at all, and you may even have very little contact from your estate agent. Use this time wisely - arranging a mortgage can take a long time, especially if you are self-employed. Your estate agent and the notaire will be happy to help you if you contact them and do make sure you keep them informed of any changes or problems. Although they will not contact you, they will want to know if there are any issues. Once you have obtained your mortgage, perhaps arranged for a survey and the relevant checks are completed, you will be able to complete the purchase. Although you can appoint someone else to sign for you, perhaps the estate agent, it is all part of your new life in France. Make an event of the signing, especially if you are moving to a small town or village. It will help you integrate into the community and to be seen as making an effort. Take a few days off, book a flight and buy something English for your notaire to take along - perhaps some shortbread or marmalade. On the signing day, they may have a glass of champagne for you, or take a bottle along and make a celebration of the start of your new life. I sold my French house in Jan 2017. It could have been sold in Dec but there was a 'hold-up' in transferring funds apparently. The notaire was a neighbour and friend of the people (English) buying my house. I've just had to pay ~£1300 in French taxes in 2018 as I was unaware that the responsibility for taxes for the whole year is down to the person owning the house on Jan 1st. The notaire should have brought this to my attention as the French law states that agreements/settlement outside of the law are permitted. As there was such a large time-span after the sale, the new owner (notaire's mate) has lived in France for free in 2017. Your comments are very interesting to me as I was divorced in 1995 and my ex and me had a house together which was the matrimonial home and he has never paid my half of the house and now has contacted me to sell it and the notaire will not answer my emails or recorded letters to do with the house sale. I am wandering what my next move should be and if he can somehow remove my name in an underhanded way. contd..... Anyway, not to be a scare munger BUT .. you should always ask to see the Notaires credentials and that they should volunteer information on previous negligence or civil law convictions against their name or firm's name. Particularly within the Provence and CdA regions. Notaires can continue to practice even if they have a string of negligence and civil law suits against them. If you do not want to ask directly, you can contact the regional office for the Associe de Notaires de France who will reply to English or French Language requests and can be contacted through the Notaires de France website, telephone or post. You should always ask an independent lawyer, who has French avocat status, to check over the compromis de vente, before you attend the signing meeting on the day to transfer deed and exchange fees. Despite the propaganda placed on the Notaires de France website, claiming that members have professional indeminity insurance in the case of a fraud or negligence matter involving the Notaire, this is not the case in reality. You will be dealing with a private insurance firm (unconnected to the Notaire Association) whose number one objective will be to employ large teams of lawyers against you to minimise the compensation they have to settle, if anything at all. The process is ruthless and brutal, a tribunal will happily strip you of all your pocessions, equity, etc., with a state certified payoff of currently around 7500 euros and refund of Notaire fees, even if you purchased a 1M euros chateau, and sleep perfectly well at night. Do not take things for granted,check into the Notaire's background, get an independent Avocat to review the Sales contract, insist the Notaire inserts a clause for full and unlimited compensation to be applied, on behalf of him, his firm and notaire Association, in the event of negligence or fraud matters latter proven on his behalf. There is not a standard Compromis de Vente format and he can draft or emit items as he chooses. This is how many foreigners are caught in the cross hairs of a system so open to abuse and ruthless by design.